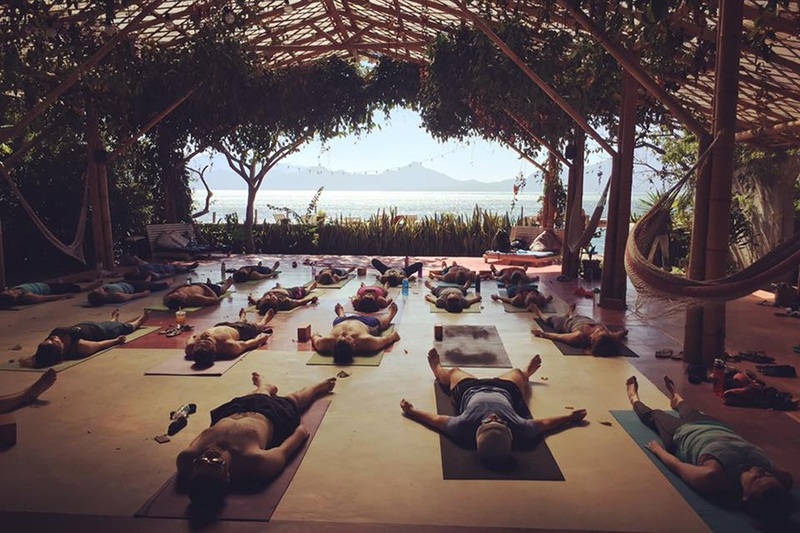 How does doing yoga with views of San Pedro Volcano in Guatemala sound? Or how about cliff jumping in San Marcos? Or maybe even kayaking through the blue waters of Lake Atitlan? Especially during the tail end of February when the only thing you want is to see the sun and feel warm air on your skin. Lucky for you, the only warm air you feel during that time of year doesn’t have to be during B/Spoke’s hot ride, because the spin studio is going to Guatemala. B/Spoke Studios and Sol Seed Retreats, a Boston-based company specializing in wellness adventure planning services, are partnering to launch their first-ever Spin Retreat during the week of February 23-March 2 to two different cities in Guatemala. The first night will be spent in Antigua, known for its Spanish colonial buildings and surrounded by volcanoes, where you’ll meet up with the group before transferring to Santa Cruz la Laguna where you’ll stay at Isla Verde, a beautiful lakefront eco-resort at the base of Lake Atitlan, a body of water in a volcanic crater in Guatemala’s southwestern highlands. But this isn’t just any ordinary vacation. During the trip you’ll have a chance to sweat three times a day in any one of B/Spoke’s classes (shoes, towels, and equipment provided), taught by B/Spoke instructors. Classes include the spin class R/de, off-the-bike bootcamp Train, and yoga classes. Also included will be a group sauna and hot tub experience, as well as a guided hike that visits the city of San Marcos and the Cerro Tzankjuil Nature Preserve, where you can bask in hot springs or rock jump into Lake Atitlan. Boats are also readily available to neighboring villages Santa Cruz, San Juan, and San Pedro for more exploration. The trip prices vary depending on what type of room you choose to stay in, but each package includes meals, lodging, transit, and everything on the itinerary—airfare, alcoholic drinks, and additional activities have to be paid for separately. A $500 non-refundable deposit is required to reserve your spot, and flexible payment plans are available for the remaining balance. Prices vary, February 23-March 2, wetravel.com.